Browse: Home / Dive In Headfirst or Get out of the Pool: Why Marketing Needs an 'All-in' Approach. 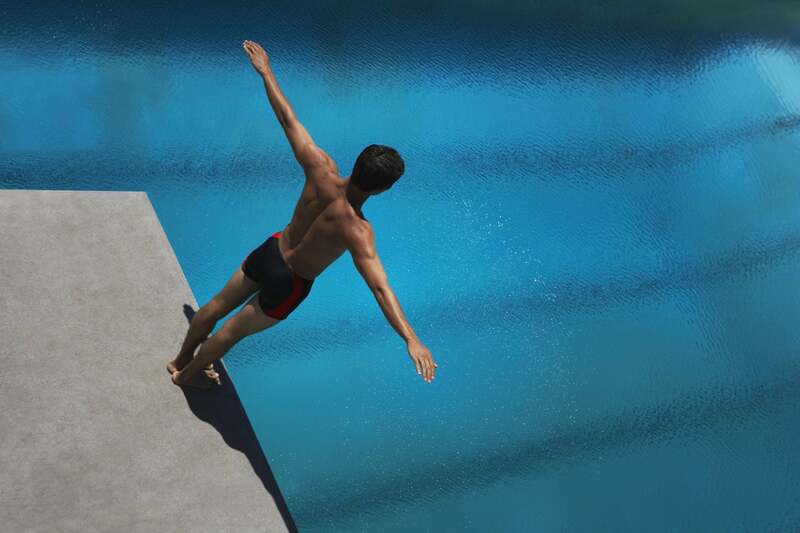 Dive In Headfirst or Get out of the Pool: Why Marketing Needs an 'All-in' Approach. Success is like life: It doesn’t come from a half-hearted try. Businesses sometimes like to dip a toe at a time into marketing. Unsure of how much to spend and where to spend it, these owners choose to start slowly. But that's where they go wrong because it takes an "all-in" commitment to get the ball rolling in the right direction. The importance of marketing efforts, however, is clear to some groups — like CEOs. A recent Gartner survey found that more than half of the CEOs it surveyed planned to increase their marketing budgets in the subsequent year. And nearly two-thirds of chief marketing officers expected their budgets to rise in 2019. The caveat here is that not all companies can afford to spend big when they're starting out. And they shouldn't. There are other ways to show a commitment to selling a brand. Companies have more options, like guerrilla marketing campaigns, which are still viable even in this age of tech giants. Still, there's an end game here: Once the team's time becomes more valuable than the money it's putting in the company bank account, it’s time to flip the switch. That's the time to commit to advertising in a way from which you can learn what works and reach your clients. Companies that go all-in are the ones that find success. Not ready to make a full monetary commitment? Rather than make a few small investments, don’t commit any money at all. Those little drops in the bucket won’t do much to help your company, but the strain those drops put on your budget could do a lot to hurt it. Focus on what the company can accomplish with the time and skills of the people who already work there. That could mean you literally hitting the streets. It could mean demonstrations. It could mean trying the guerrilla side of marketing when you're trying to make things go viral. You could be calling publications and trying to get whatever you can for free. Such low-budget or no-budget campaigns are the best option for every small business that hasn’t yet turned the corner toward higher revenue. Example? Dropbox didn’t spend a dime when it offered 500 MB of extra storage to customers who referred their friends. That tactic helped the company gain market share without ad spend, allowing it to become the storage giant it is today. 2. Spend enough on advertising to pinpoint where you are finding success. Startups are all about taking smart risks. Instead of leaning on limited test information and using that as the basis for a larger strategy, look at available marketing options and jump right in. Unless you're spending a lot of money, say $ 5,000 a month for three months on Facebook, it doesn't make sense to start advertising. Chances are you're just going to waste that money because you can't run enough variables to see where you're being successful. This came up recently with a friend who is building a wine business. He wanted to run some ads, but he didn't have lot of money for advertising. So he ended up spending $ 1,000 a month for three months. The result: His ads didn't work, and he wasn't making any money and wanted to know what had happened. I could have told him that if you don't test widely enough, you won't have enough data to figure out "what happened." You need to get a statistically significant data set to be able to scale and build your market if your vision is to grow your business. The modern buyer journey has no place for companies that keep just one foot in the door. SiriusDecisions found that nearly two-thirds of its buyer journey was happening through digital channels. So, gab that ephemeral journey by the collar and spend money on anything that looks promising. Continually assess and revise the approach to ensure no dollar goes to waste. Every investment should either grow the company or provide useful data on what to do better next time. Related: Where Would You Spend an Extra $ 50K in Your Marketing Budget? 3. Partner with or hire people who truly understand scalable marketing. Companies need to have a larger strategy in mind before spending wildly on Facebook Ads or Google AdWords. Use better tools or hire a firm to help you maximize spending effectively. Look for partners that have been able to help small businesses get to medium- or large-size businesses. You want a firm that has done this over and over because that firm will be the one that understands scalable marketing and doesn't send you off in dubious directions. When Dollar Shave Club exploded in 2012, everyone wanted to hire a viral video agency. Dollar Shave famously shot its video for $ 4,500, and its results reached the stratosphere. The problem was, there was nothing scalable about happened there: The release of the video simply kicked the company off into a really big fund-raising spree, but this kind of model was and is unpredictable. Another model that gets a lot of buzz is gifting suites at big celebrity events. If this works, great! But if it doesn't work, you just wasted some money. And you didn't learn anything. Instead, you need to approach marketing as though you're in the business for the long haul. You want to invest in marketing that will teach you what is working with your customers and what isn't. So find a partner that knows how to use your marketing dollars wisely. In the age of digital advertising, a cheap price is usually a direct reflection of the quality of the product or service. Good marketers and makers of marketing tools charge fair prices because they know how to make money for the people who buy from them. Marketing in 2019 pits small companies against thousands of competitors for audience attention. The only way to win that battle is to bust out the big guns. Entrepreneurs don’t need middling marketing strategies. They need innovative, free guerilla tactics; and when those tactics no longer make sense, those entrepreneurs need big investments and big attention.